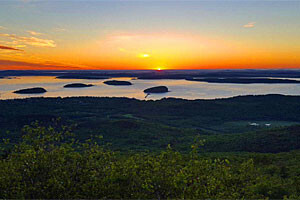 The 27-mile Park Loop Road connects the mountains, forest, lakes, and coastline of Acadia National Park. It provides visitors with a beautiful and convenient way to experience the Park. 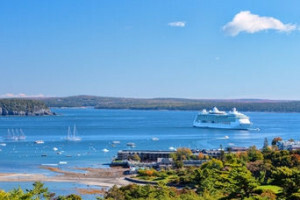 Offering sightseeing tours of Acadia National Park aboard our comfortable motorcoaches. Fun for adults and kids, seeing the coastline to the summit of Cadillac Mountain. 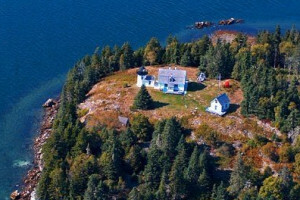 The Park Loop Road begins and ends at the Hulls Cove Visitor Center, which is north of Bar Harbor on Route 3. Visitors can access the Park Loop Road at other points along its route. Most of the Park Loop Road is closed between December 1 and April 15. Weather conditions may require earlier closing or later re-opening. Unpaved roads in the Park may also be closed in winter. Visitors and local people enjoy walking and cross country skiing on the closed roads in winter. 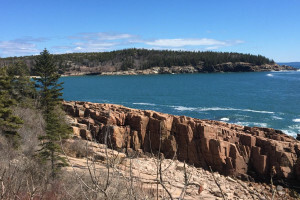 A one-mile section of the Park Loop Road south of Sand Beach stays open all year, as does the section in Seal Harbor that provides access to the Jordan Pond House. To drive the 27 miles of the Park Loop Road without stopping takes about one hour. Three or four hours gives visitors time to stop at viewpoints and enjoy the scenery. Most of the Park Loop Road is one way. 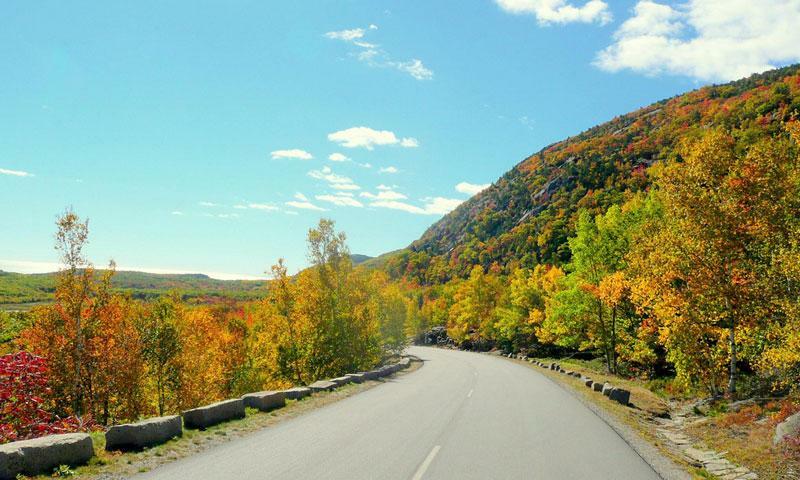 The Park Loop Road was designed to provide visitors with outstanding views of the mountains, coastline, and forests of Acadia National Park. Schooner Head, Sand Beach, Thunder Hole, Otter Cliffs, Jordan Pond, and Cadillac Mountain are some of the highlights of the Park Loop Road. The coastal views near Sand Beach are outstanding. 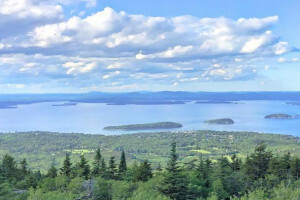 The Cadillac Mountain summit road leads to the highest mountain on the eastern seaboard. Trails and parking areas along the road allow visitors to linger and explore the Park. 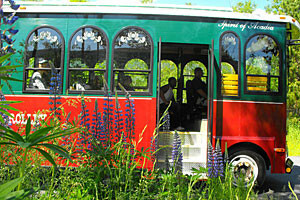 The free Island Explorer shuttle bus makes stops along the Park Loop Road, providing a way to experience the road without a car.